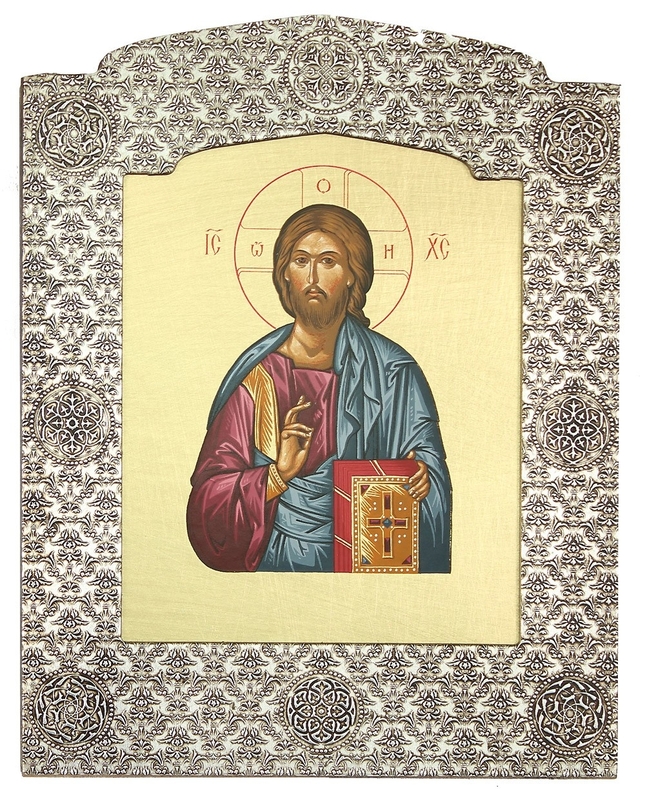 Religious icons: Christ the Pantocrator - 9 - Istok Church Supplies Corp.
Beautiful traditional Orthodox icon. 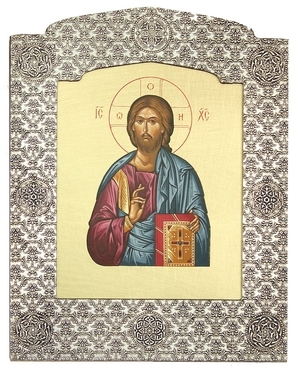 Painting, tempera, basma, brass, silver-gilding and gold-plating. Size: 7.0''x8.9'' (17.7x22.7 cm).